What sets MMUF apart is the way it illuminates the connection between diversity and academic excellence; the importance it places on mentoring relationships; its injunction to students to build supportive networks; the positive functions of the cohort; the disposition to collaborate as well as compete; and the obligation to pay these benefits forward to the next generation of young scholars. MMUF PhD LeRhonda (Rhon) Manigault-Bryant (Duke '99) earned tenure at Williams College in December 2013 (see the announcement here). 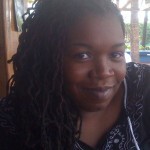 Rhon earned her PhD from Emory University in religion and Africana studies in 2007. Prior to her arrival at Williams in 2011, she taught at Wake Forest University. Her books Talking to the Dead: Religion, Music, and Lived Memory among Gullah/Geechee Women and Womanist and Black Feminist Responses to Tyler Perry’s Productions (the latter of which she co-edited) are forthcoming in 2014 from Duke University Press and Palgrave Macmillan, respectively. Congratulations, Rhon!